Buy 6 items for $9 Regularly $72.97 Save 87%! This bundle ended 2018-02-17 20:00:00. It’s that time of year again when the days get a little brighter, the coldest part of winter is behind us, and there’s a little something in the air. That’s right it’s pollen season! Wait, it’s also Valentine’s Day? 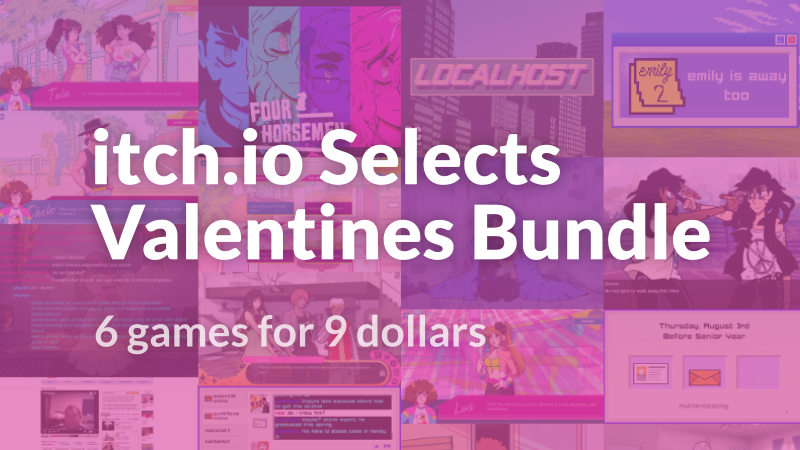 Read more about the itch.io Selects Valentines bundle on our blog.